Phoenix City. The newest podcast covering New Zealand football. Phoenix City was founded in July 2015, after the In The Zone podcast ended and a Phoenix sized hole was left in the podcast market. Cam, also known as Photomac, Yellow Fever's resident photographer. You've probably seen him wearing a bib at Phoenix games. Cam tweets at @NZPhotomac. A trip to Christchurch doesn't yield a better result for the Nix, going down 3-1 to the Mariners. Ben Sigmund joined the pod to chat about the upcoming game against Perth, and we wrap up all the action in the ASB Premiership. So, the Phoenix lost again. Meanwhile, the Football Ferns are off to the Olympics and the girls U17's are off to their World Cup too, and the TeeDubs steal a last gasp point. After another disappointing away result, the pod try to find some positives in the Phoenix's performance. Meanwhile, the ASB Prem has served up a cracker of a game, and the Womens U17's have been scoring goals for fun in the Islands. It's been a strange old week, with us celebrating a 0-0 draw like a win, and Anthony Hudson coming out and labelling NZ footballers as "soft". The WeeNix went down to a late and controversial goal, and the Fever have cheap beers and free sausages for you at the TeeDubs game this weekend. The pod dissect the Phoenix's loss to CCM, and have all the talk you need on headbutts and elbows. Meanwhile, the ASB Prem is back from it's Christmas break this weekend, and we take some time to answer some listener questions. So Patrick royally kazoo-ed up this week, and recorded the pod through his laptop microphone instead of the actual mic's. So as we talk about the Phoenix's loss to Adelaide, the own goals/red cards/penalties of the previous round of A-League fixtures and the upcoming weekend of games, we sound like we are recording in a toilet somewhere. It's a Merry podcast this week, but the Nix haven't quite got in the spirit yet after their 1-1 draw with Sydney FC. Elsewhere, the Wellington Derby ended with the TeeDubs on top, and Cam's list of Kiwi's Overseas is shrinking. It was hot in Cairns and that probably cost the Phoenix three points. The WeeNix were involved in quite possibly the most amazing ASB Prem game ever, and Cam has his wrap of Kiwi's Overseas. It was a successful weekend in Auckland for the Phoenix, and Shane Harmon (CEO of Westpac Stadium) joins the pod to talk about it, as well as stadia, clashing kits and green sand. The WeeNix got their first win of the season in the ASB Prem, and Auckland City are off in Japan about to begin their Club World Cup quest. The Phoenix lost 29-14 to Sydney FC on the weekend, the pod talks fouls and Joel Griffiths vs Steve Corica. The pod talk to Paul Temple, who has just been appointed to head the Phoenix Academy about his new role and his involvement with the North Shore City application for the new NZ national league. Elsewhere the FFA still have their head in the sand, the Football Ferns beat Brazil 1-0 and the ASB Prem rolls on for another week. Brandon goes up to 9 losses out of 9 on his away trips as the Phoenix go down 2-1 to WSW. It was a weekend of football to forget, apart from Jamie Young. The TeeDubs and the WeeNix both lost, but WaiBOP are flying high after the second round of the ASB Prem. What a week. The Nix smashed Adelaide off the park in front of the biggest Wellington crowd in five years, and the All Whites finally won a game too! Elsewhere, it was the first proper round of the ASB Prem, and we have a comprehensive wrap of all four matches played and a preview of round two. It's been another bumper week in Phoenix world, and the lads cover off everything from the 1-1 draw with the Mariners to the upcoming game against Adelaide and the #SaveTheNix campaign. Oh, and don't forget Frank Lowy's latest bizarre comments. The All Whites are playing Oman, and the ASB Prem is underway! After what has been a crazy week, the pod sit down and talk about all things Phoenix, including the impending doom of the license and the result against the Victory. Elsewhere, the All Whites squad to play Oman is named on Friday, and the Under 17's almost beat Brazil at the U17WC. Vinnie Lia joins the podcast after his heroics over in Perth. We chat with him about the win over the Roar, and the upcoming game against the Victory. We learn about the Phoenix license news live on air, and get to pick ourselves back up again by celebrating the U17's beating Paraguay. Phoenix City - Did that really happen? Vinnie Lia scored from a corner. We can't believe it either. Phoenix assistant coach Chris Greenacre joins the pod to talk about the disappointing result against Newcastle, and look forward to the long journey to Perth. There were mixed results in the A-League predictions from last week (although Patrick is quite smug about one of his), and we ask Greenie some of the questions that were sent in by our listeners. The A-League season is here, and the pod chat about the Phoenix's first match against Newcastle. There's also some other A-League games happening this weekend, and the Junior Football Ferns have been scoring goals for fun in Tonga. Phoenix City - ¿Hablas español? The Phoenix played out an 'entertaining' draw with Auckland, and we discuss what it's like to draw with the third best team in the world. There's just over a week until the A-League starts, so the pod make their predictions about how the league will go, as well as talking about Fred De Jong falling on his sword. Andrew Durante joins the Phoenix City team to chat about the Phoenix's successful week in Sydney, the match against ACFC and the rest of the happenings in the A-League. The ASB Prem is going to be on tele and Napier have fallen in the Chatham Cup final. The Phoenix have swatted WSW aside and take on the other Sydney this week. There's still a stoush going on between (P/F)FA and NZF have got exemptions granted! Woohoo! 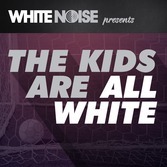 The pod members are grumpy about the All Whites, unsurprisingly. But there's more than just the Myanmar failure to talk about, as the Nix continue their preseason this weekend, and the PFA here get one up on their Aussie counterparts and sign a new deal with NZF. The pod do their best to work out what went wrong in Melbourne in the FFA Cup, and Brandon fills us in on the action from Weka Park on Sunday. The All Whites play Myanmar this weekend, and there's been plenty happening with our Kiwi's Overseas and Cam has all the info on them. The Phoenix have been very busy lately, and the pod dissect the match against NZA from New Plymouth and look ahead to the FFA Cup Round of 16 match against Melbourne City with David Hards. Jeffrey Sarpong has been announced as the latest Phoenix not-a-striker, and we have the audio from when he met the media today. The eligibility appeal has been postponed, and it's goals aplenty for the kiwi's overseas. Wellington United Weenix have won Cap Prem, and it's Chatham Cup semifinal weekend! The pod wrap up the action from Gosford where the Phoenix beat the Mariners 1-0 to make the R16 of the cup. The FFA have added a bunch of salary cap exemption and managed to piss off the PFA. The Napier juggernaut keeps rolling on, this time in the Chatham Cup, and Danny Who's U17's have found out who they will face in Chile. Recorded at Four Kings sports bar in Wellington! The Phoenix have lost to Western Suburbs ahead of their trip to the Central Coast for the FFA Cup, so the pod dials in Josh Howe to discuss how the Mariners have been doing lately. New Zealand Football have appealed the #WynneGate decision, and Kevin Fallon has been approached by the media for "expert comments" again. Meanwhile in local football, Napier City Rovers have taken out the Central League with several weeks to spare, and it time for the Chatham Cup quarterfinals. There's another two preseason games in the bag for the Phoenix, we were at both of them (against Petone and Miramar Rangers) and look at the upcoming games against NZA and ACFC. Meanwhile Oceania will be taking South America in the Road to Russia, there's more on #WynneGate and we have a wrap up of local football too. It's been a bumper week in New Zealand football, as the fallout from the Oly White's being disqualified from Olympic qualifying has begun. The pod discusses whether NZF were right in thinking that Deklyn Wynne is eligible for New Zealand, and talk to Andrew Gourdie from TV3 about whether they have any grounds for appeal. Meanwhile, the Phoenix have played Stop Out on an arctic night in the Hutt, Louis Fenton has signed up until the end of the 2016/17 season and Wellington Olympic has been bundled out of the Chatham Cup in an extra time thriller against Napier City Rovers. The boys are back, but with a twist. With the Under 20 World Cup all over, it's time for a name change and a shift of focus onto the Wellington Phoenix and New Zealand football. The boys chat about the fixture list for the Phoenix, talk to Adam Ryan who was lucky enough to go on the Nix preseason tour to Fiji, and discuss the departure of Nathan "Mr" Burns. In New Zealand Football, the Olywhite's are off in Papua New Guinea trying to qualify for the Olympics, and the Futsal Whites are in action in Wellington this week against the old rivals, Australia. The Under 20 World Cup has wrapped up with Serbia victorious over Brazil in the final, the pod do an in depth review of that game and look at another set of amazing goals from Mali. We dish out some (meaningless) awards to the best players at the tournament, and make a special announcement at the end of the pod. Brazil have romped into the final of the Under 20 World Cup, and Serbia have joined them following an arm wrestle against Mali. We look at what went right for the Brazilians, and what Serbia did well as well as what they'll need to work on if they want to lift the trophy on Saturday. Adidas are on board and have given us a voucher for a brand new pair of boots to give away - find out how you can win! We've been treated to three penalty shootouts in a single day, but have had to sit through some pretty dire football to get there. We talked about an unlikely win for Mali, and work out if anyone can stop Brazil from undeservedly taking out the Cup. The Junior All Whites have gone down fighting against Portugal, and we review all the action from Hamilton and wonder what could have been. Senegal and Brazil have won penalty shootouts and Mali and Uzbekistan have caused upsets and made it to the quarters. Also, who are the pod picking to make it through to the semifinals? The group stage is over and it's time for some knockout football. The Junior All Whites made it out of the group and are taking on Portugal in Hamilton, do we have any chance at all of making the quarters? Meanwhile, Asia has failed dismally and Africa has excelled, but does the way the draw has fallen make it hard for Africa to succeed further? The pod are recovering after celebration the Junior All White's 5-1 win over Myanmar last night, and they discuss all the goals as well as yet another set of baffling selections from Mr Bazeley. Argentina are eliminated, and the mighty Ghana are victorious in Group B, and the All Whites are probably through to the Round of 16!